It’s been 10 years since The Walking Dead began. As the comic goes into what is sure to be the most epic arc so far, the first issue has been re-released IN COLOUR. Yeah, it’s a definite fan collectible. The comic itself is very impressive. The colouring by Dave Stewart is really good, although I think it’s obvious to say that The Walking Dead is better off in black and white usually. But that doesn’t make this any less awesome. One thing I noticed on my re-read is that the first issue does feel a little bit rushed. Sure it’s a comic, but I prefer how it was handled in the show. Still it’s a well written comic and looks really great. 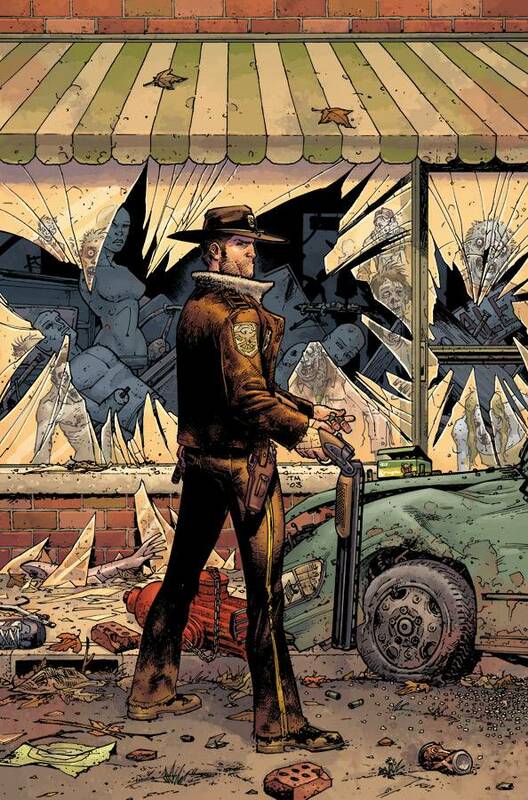 Perhaps most interesting for fans is that this special edition contains The Walking Dead‘s creator Robert Kirkman’s original proposal to Image Comics (below). Things have changed a lot since then. For one, it was originally set in the 1960’s and Lori was named Carol. Rick was big and muscly, not the average, every-man character he became. Also the dialogue just seems lackluster, the whole thing is very cliché. 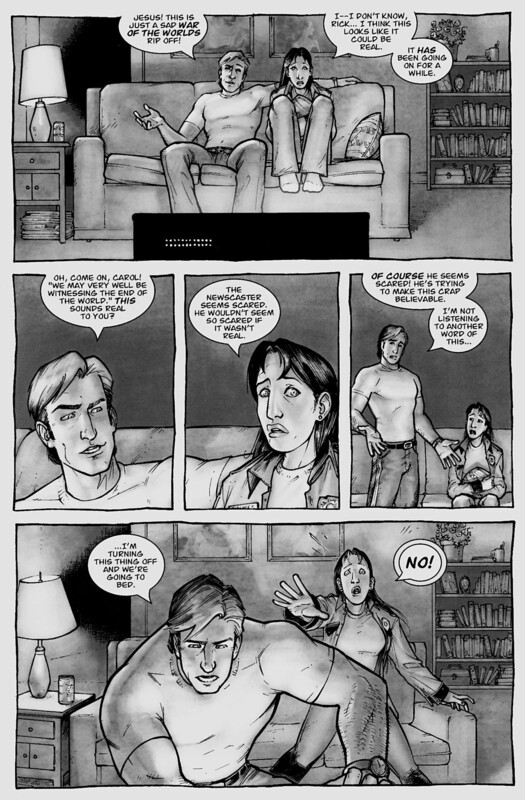 The answer Kirkman got back from Image Comics was that it was like “a lame horror movie opening”. Luckily Robert Kirkman listened and things changed (including the title). In my opinion we ended up with one of the best comics of all time. Robert Kirkman’s first proposal to Image Comics. As well as the entire first issue in colour, and the awesome original proposal, there is also a great in-depth interview between Robert Kirkman and Eric Stephenson (Image Comics Publisher), It’s nice to see the creator of The Walking Dead talking about his writing process and the hiccups he’s discovered along the way. At one point he mentions other plans he had for some characters, even darker plans for Lori and The Governor and others. It’s well worth reading for every fan, and I have to say that this edition of the comic is worth a purchase as well. The Walking Dead has come a long way, from the first proposal being rejected to the recent issue #115 being the best-selling comic of the year. Not to mention the series as a whole, a great TV Series, a brilliant series of games. It’s remarkable. It’s nice that even now in 2013, people can still be enthralled by a black and white comic series that simply has a fantastic story to tell.